We are Stone Bridge Drivers. We drive the old course! Please note that registration for all events limited and events fill up fast, so don't delay your registration! Sorry! This event is sold out as of April 5, 2019. Sorry! This event is sold out as of February 6, 2019. Open to Triumph cars. Registration fee of $145 per car includes a rally route, a visit to WGI, two Cayuga Health System Laps of the original 6.6 Mile Grand Prix course through the streets of Watkins Glen, reserved downtown display parking for the festival, and two weekend tickets to the Hilliard U.S. Vintage Grand Prix at Watkins Glen International. Sorry! This event is sold out as of 4/12/19. A rendezvous of Lotus owners and their cars. There is no better way to spend a day than with your Lotus and other Lotus owners! You must be a member of Lotus Ltd to participate in this event. Registration fee of $35 includes two Cayuga Health System Laps of the original 6.6 Mile Grand Prix course through the streets of Watkins Glen, and reserved downtown display parking for the festival. A scenic tour of the hills and lakes of wine country open to riders with classic and sporting motorcycles of all eras. This year featuring the motorcycles of Germany, but also open to all marques with an eye for the most classic, interesting, and beautiful. Registration fee of $30 includes a back country tour from lake to lake, two Cayuga Health System Laps of the original 6.6 Mile Grand Prix course through the streets of Watkins Glen, and reserved downtown display parking for the festival. This event celebrates the oddball, the mundane, or rare and exotic, but not quite perfect. Whether you think your car fits or not, SEND US A PHOTO! Entry confirmation will be sent via email if your ride is accepted. If not, your entry fee will be refunded. The registration fee of $35 gets you, your vehicle and one passenger into the show and a two Cayuga Health System Laps of the “Old Course”. Concorso Speciale goes on rain or shine. No refunds. See you there. Open exclusively to participants driving sporting roadsters of any vintage (top down, of course). Registration fee of $115 includes lunch for 2 at Knapp Vineyards, lake country road tours, a bottle of commemoratively labeled wine, two Cayuga Health System Laps of the original 6.6 Mile Grand Prix course through the streets of Watkins Glen, and reserved downtown display parking for the festival. 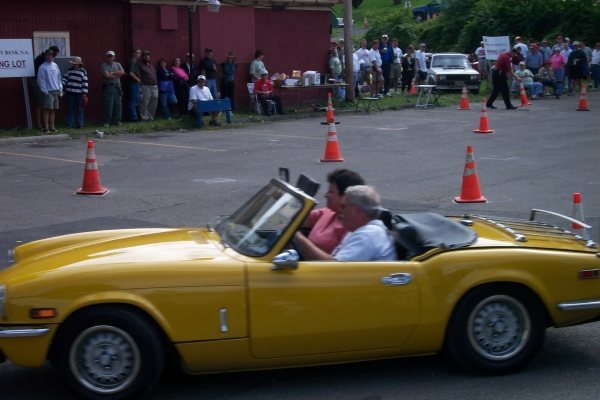 If you own a roadster and thrive on top-down driving, this one is for you! . This is a judged show for selected classic and vintage cars in concours condition. Registration fee of $115 per vehicle includes a luncheon for driver and guest, a commemorative bottle of Glenora wine and two Cayuga Health System Laps of the original circuit. A photo of the car is required for committee approval. A fun-khana for small sports cars only, please. As with any Stone Bridge Driver event you will definitely get the two Cayuga Health System Laps of the famous “Old Course” along with prime display parking at the conclusion of your Glenkhana. Registration fee is just $35. As much fun to watch as to drive in; a true test of parking lot humor and driving skills! Open to any automobiles of any marque or vintage, although preference is given to classic special interest smaller cars. 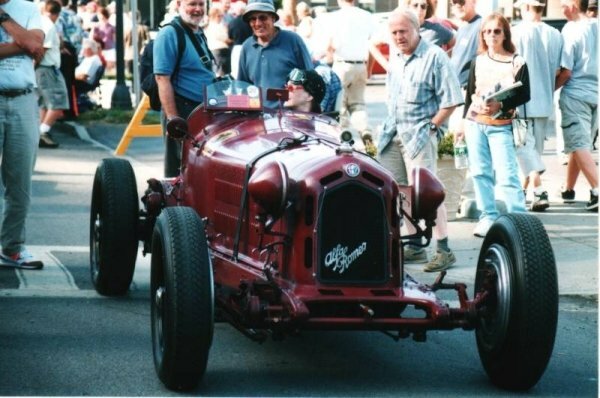 An exclusive cross-county tour through the picturesque Finger Lakes Region, with two Cayuga Health System Laps of the original 6.6-mile circuit for sports and classic cars. A registration fee of $115 includes lunch for driver and guest, two laps of the original course, a bottle of commemoratively labeled wine and reserved downtown display parking. Sorry! This event is sold out as of March 18, 2019. A road rallye for sporting vehicles of any marque as long as they are 1985 or older. Registration fee of $115 includes catered lunch for driver and navigator at the beautiful Hidden Valley Camp, as well as reserved downtown display parking during the festival, a commemorative bottle of Glenora wine, and two Cayuga Health System Laps of the original circuit..